When it comes to value, the Toyota Tundra has demonstrated its worthiness with the top resale values among full-size trucks. This value continues with the latest edition. How does it compare to the updated Nissan Titan? 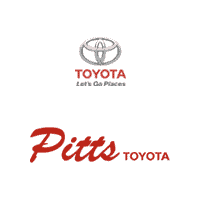 Here’s a quick review from Pitts Toyota dealer Dublin, GA. While this isn’t the first thing you think of when it comes to trucks, it is worth noting here. Tundras have more airbags than any other full-size truck, including the Titan. It offers a rearview camera on more models, and you can get a blind spot monitor. Value your trade. The Tundra has two V8s that offer can-do power for all of your biggest projects. Titans have increased their power output, but their novice engines are still neck-in-neck with the tried-and-true Tundras. Whether the people in the backseat are your workmates or your teenage kids, extra wiggle room is important. In the full-size cabins, Tundras have a bigger backseat area with more legroom. Furthermore, only Tundra has rear seats that recline. This brings us to the total package. While Nissan holds back on valuable amenities such as dash tech, Toyota offers it on the affordable SR model. This nets you a touchscreen with Entune, Bluetooth and streaming audio. It includes Siri Eyes Free for use with iPhones. The rearview camera is aboard to give you a clear view when backing up your big rig. CrewMax Limited has a driver’s power seat and automatic temperature controls. When you want a good truck, start with the Toyota Tundra. You will enjoy a high-quality product with serious capability. Find it now at Pitts Toyota dealer Dublin, GA.